My first stop was a visit to Paul Backenstose’s Western Maryland Railway. 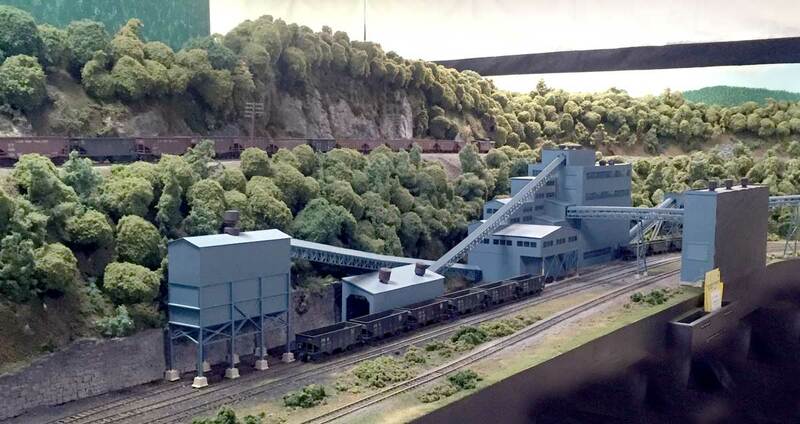 Paul has captured the scenic features of the line near Cumberland quite well. There were a few photogenic spots on the layout and it ran very well. As with most model railroads, not everything was complete. Trust me, it never is. 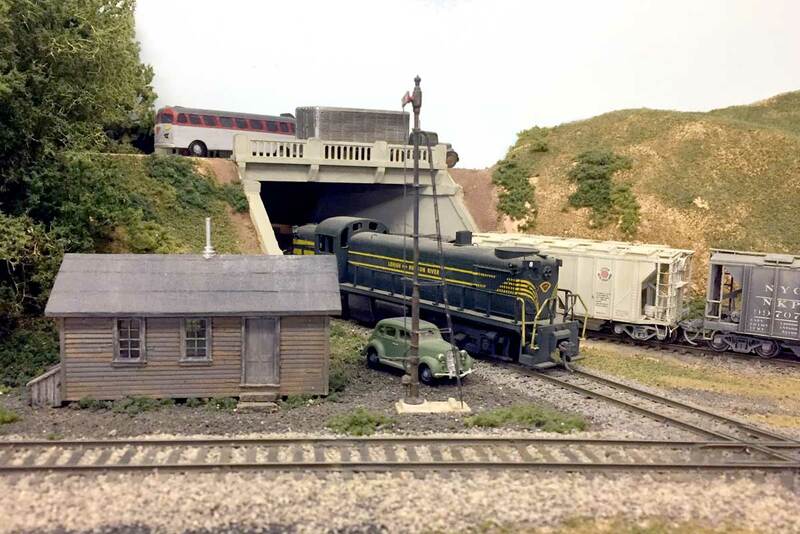 Paul has been holding regular operating sessions over the years and I can see where this yard would be a hub of activity. My next stop was a visit to Ken McCorry’s Pennsylvania Railroad Buffalo Line. I’m certain there have been many adjectives used to describe Ken’s layout over the years. As I entered the extra-large garage and climbed the stairs to the layout area, only one word popped into mind; massive. 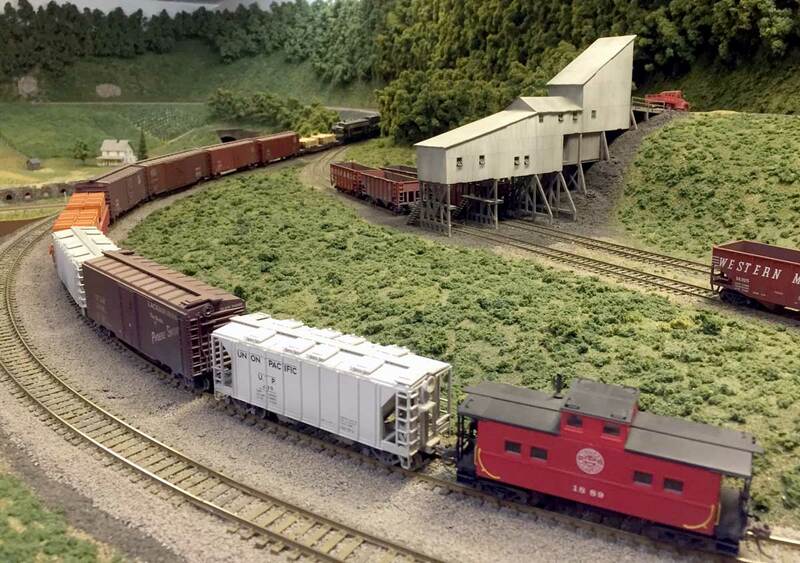 Scenes on Ken’s layout are measured in feet. 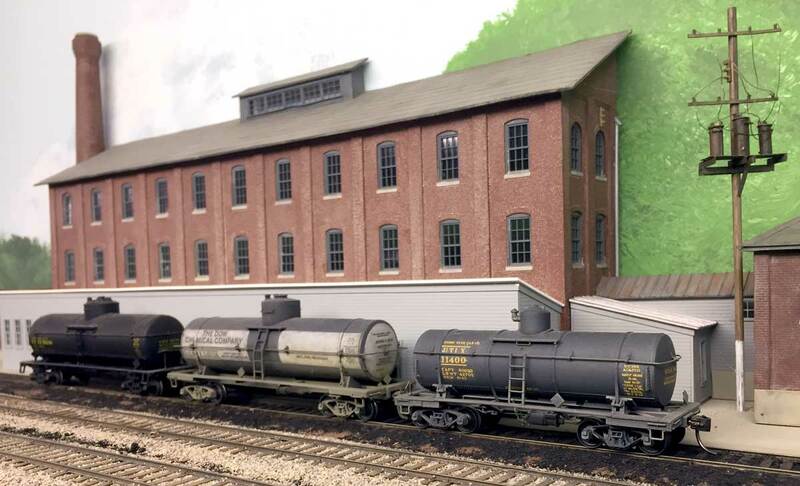 The 3,120 square foot layout features lots of mainline activity and industrial scenes reflecting Pennsy lines connecting Rockville and Buffalo, along with Reading and New York Central branches. There was something to see at every turn, and usually on one or two levels of sceniced layout. Nicely modeled row houses sit on a lower level scene nearing completion. Note the lawn chairs at the curb. Perhaps they are reserving a parking spot or two? Classic Pennsy steam locomotives were everywhere, along with many diesels. 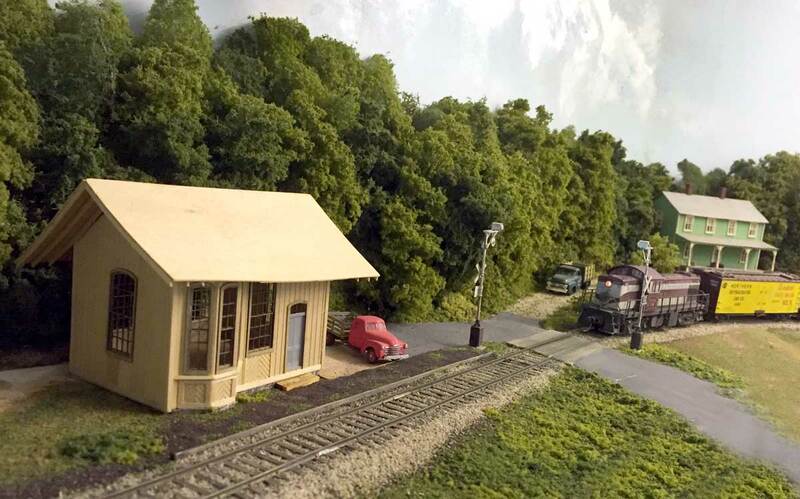 Ken has captured the look of the facilities used to keep the steam power rolling, too. I lost track of the number of locomotive facilities on the layout. It seemed like there was a roundhouse around every other corner. Also attracting the eye were several very large industries. I think some of these were as large as half of my layout! 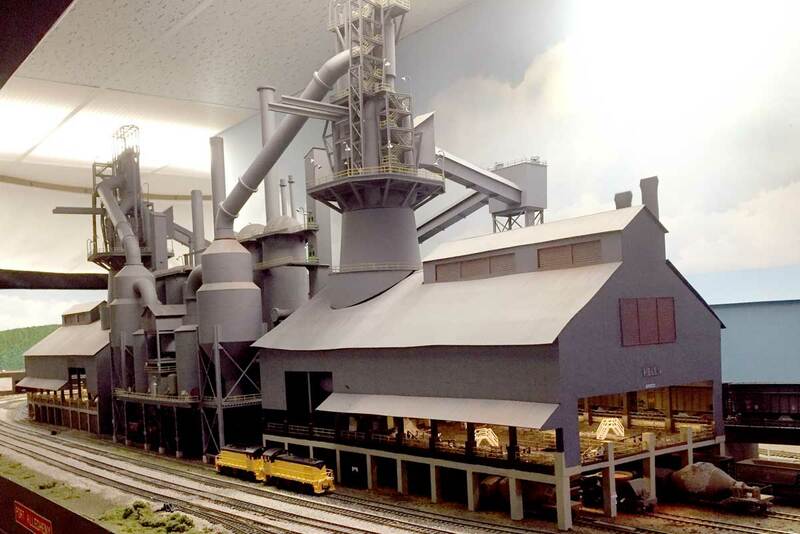 The steel industry is well represented here, along with the steel company railroad. 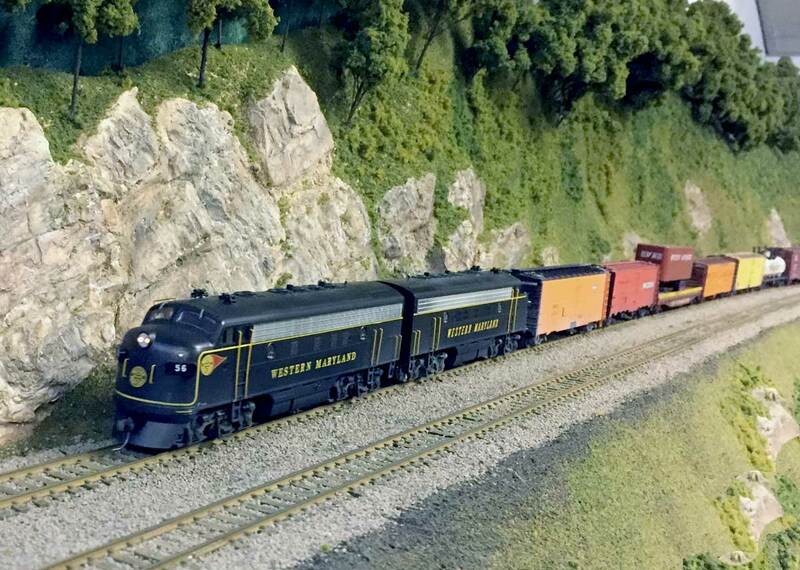 Those were the only two layouts I was able to visit on the road out of town, but I did have the opportunity to operate on Steve Salotti’s New York, Susquehanna & Western. During the time I was running a train, there were moments of waiting for another train to meet. I took advantage of these activity lulls by snapping a few photos of the fine layout. 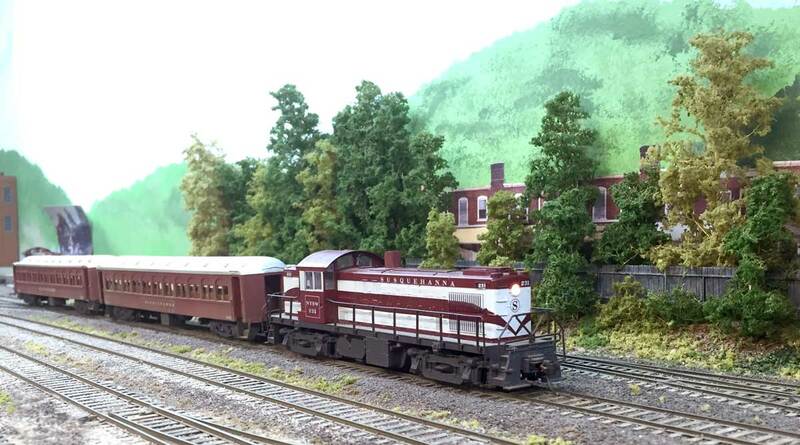 One of several commuter trains that operated on Steve’s layout. Steve’s NYS&W runs through northern New Jersey and many towns capture the essence of his 1949 modeling era. There was a nice mix of small and mid-size industry for local to pull and spot a variety of freight cars. A few segments were quite rural with long stretches of single track mainline rolling through the scenery. 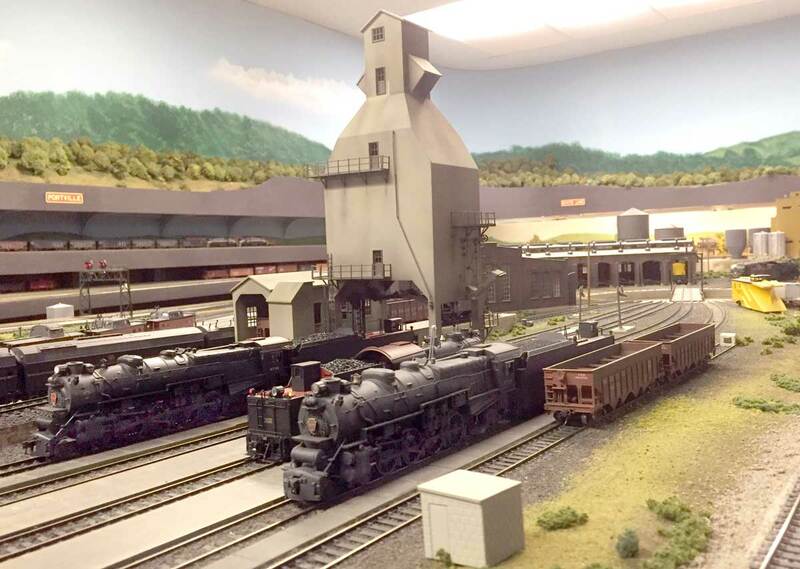 As with Paul’s layout, there are portions of Steve’s Susquehanna that are not complete. I enjoy seeing these parts of a layout as I get solid ideas on structures and scenic development, as well as benchwork construction techniques. 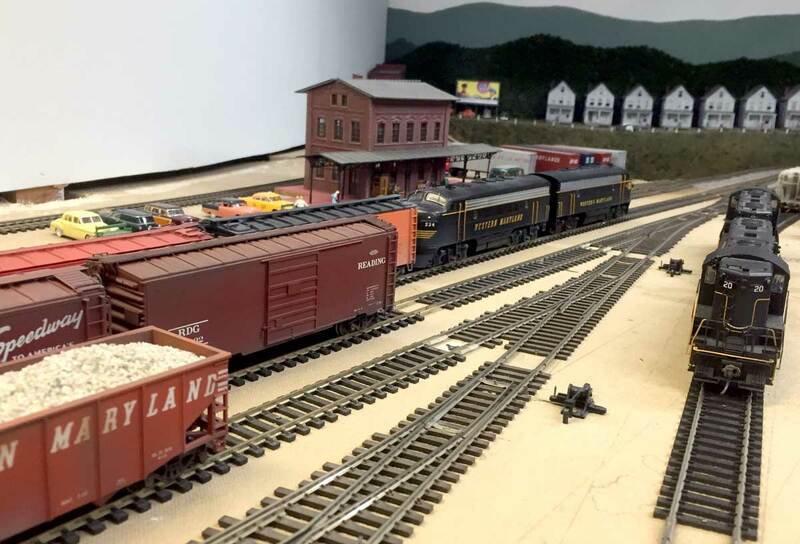 Steve’s layout has a nice mix of industries, rolling stock, passenger and freight operations, and urban or rural scenery. It is also a joy to operate with a host of other people. I had a great time and hope to return again someday. But it’s time to crack open the throttle and head down the line as I’ve met the opposing train and need to move along to spot and pull a few more freight cars at the next town. Over the years, I’ve learned to never turn down an opportunity to visit a model railroad. There is always something to learn from the visit and you will be inspired to move a project along on your home layout. 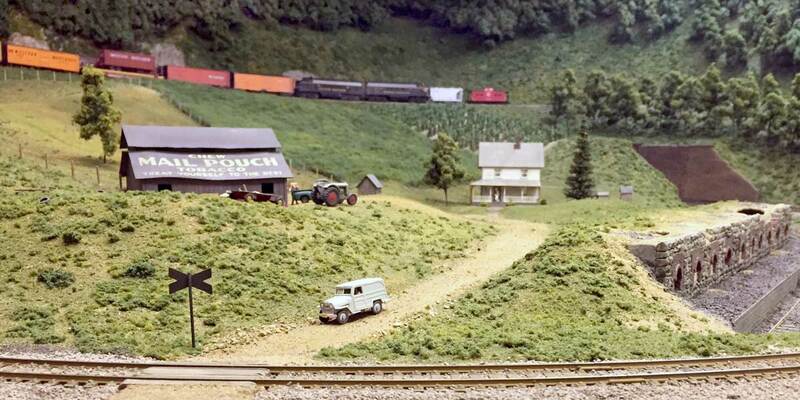 I still love a good Western Maryland layout. Very nice photos.